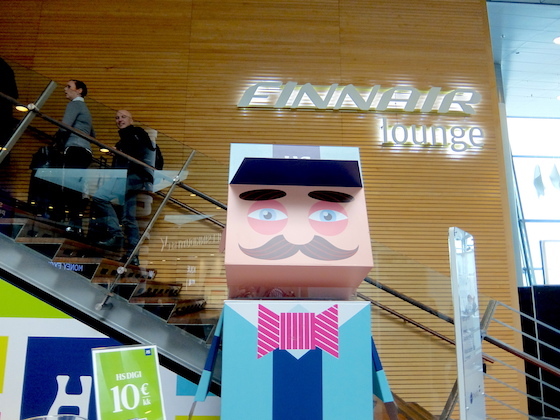 We recently visited Europe with Finnair, here’s our guide to navigating through Helsinki Airport. 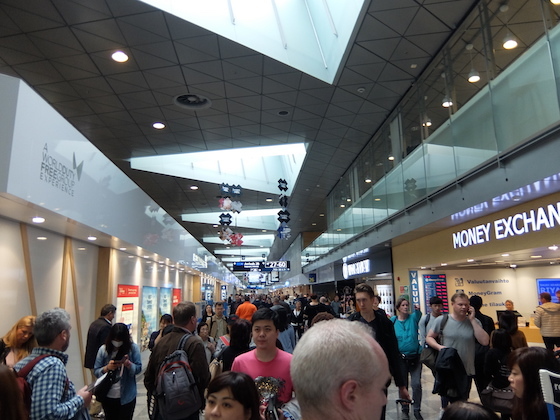 Helsinki Airport is modern airport with plenty of shops and places to eat, it can be super busy though and is in the process of being expanded as traffic continues to increase. 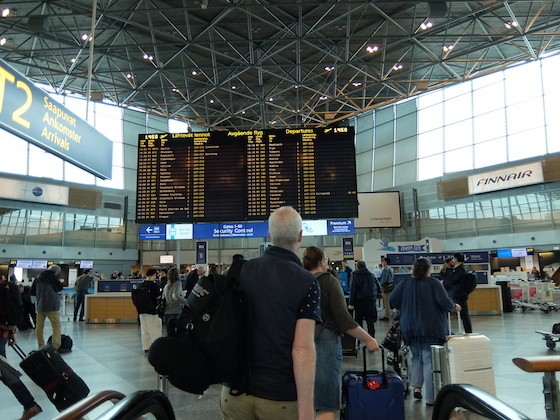 Upon arriving at Helsinki Airport you’ll see a large departures and arrivals screen and a series of checkin desks. 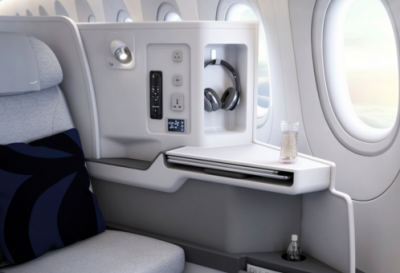 The Finnair Priority/Business Class check in, is upstairs. You’ll find the escalator and elevator to the right of the main display screen, with clear signage to the Priority check in desk. Helsinki airport as a whole has very good signage in English, Finnish, Swedish and various other languages making it is easy to navigate. Directions to the Priority/Business Class check in upstairs are clearly sign posted. Upstairs at the Priority/Business Class Check in counter. 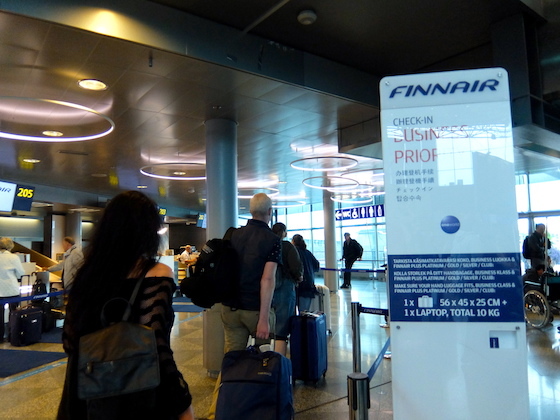 As a Schengen country, Helsinki airport is split into Schengen and non-Schengen areas. 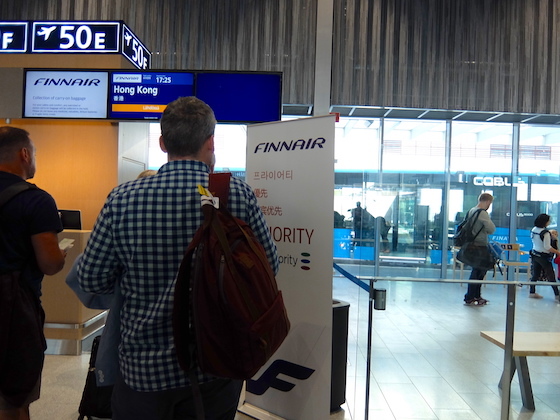 Once through check-in and immigration, you’ll be in the Schengen area of the airport where you’ll find a duty free shop, Finnair business class lounge and plenty of shops and places to eat. 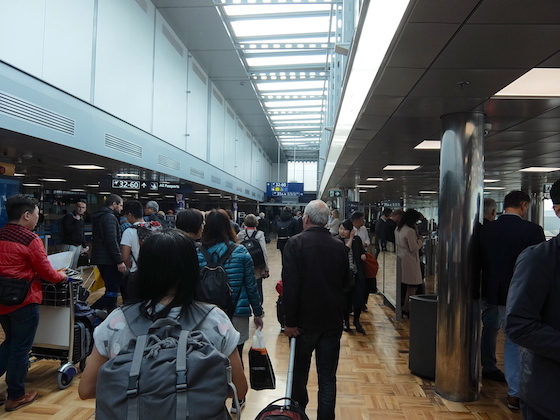 Inside the Schengen area of Helsinki Airport. 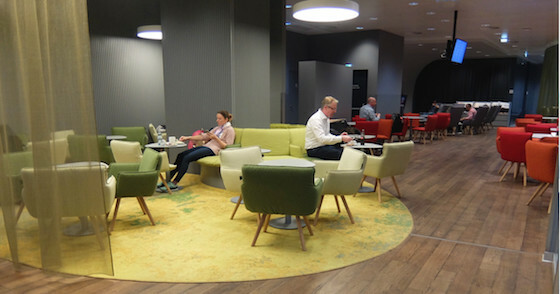 Finnair Lounge – Schengen Area, Helsinki Airport (near gate 22). 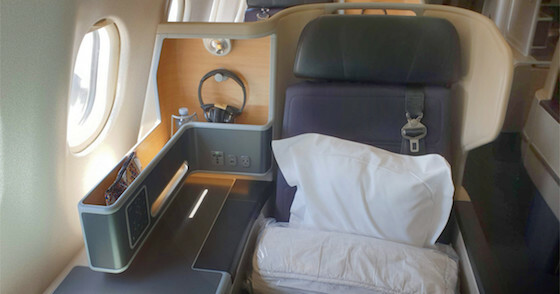 For long haul flights, and flights to European countries outside of the Schengen Area, you’ll need to transfer to the non-Schengen area of the airport. 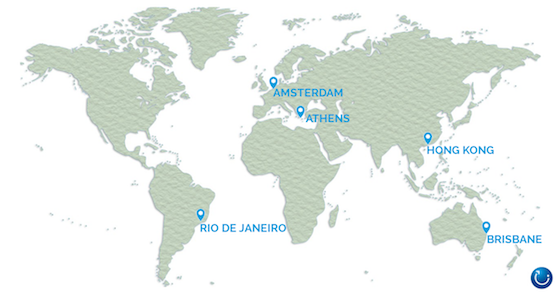 Gates 32 – 60 are located within the non-Schengen area, continue to follow the signs and you’ll reach passport control to enter the non-Schengen area. Passport control to enter the non-Schengen area. A handy tip for Australian passport holders, don’t stand at the end of the queue. Thanks to our e-chip passports we can jump ahead to the automated gates (as can Japanese, South Korean, New Zealand, Canadian, and USA passport holders). 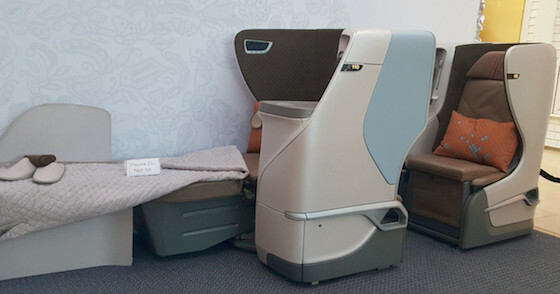 You’ll see a queue forming to the left of the aisle, continue walking ahead to the automated gates, where you’ll see a sign directing Australian passport holders to the automated gates. 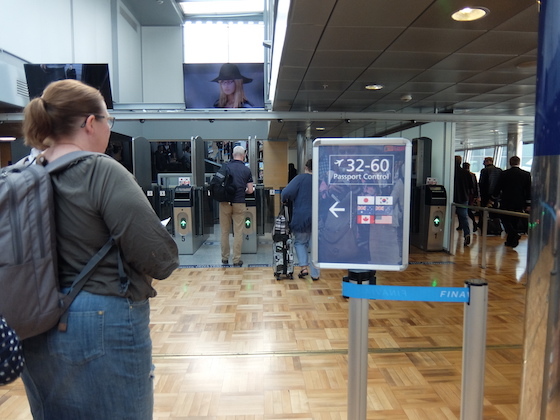 Australian passport holders can jump the queue and use the automated gates to enter the non-Schengen area. 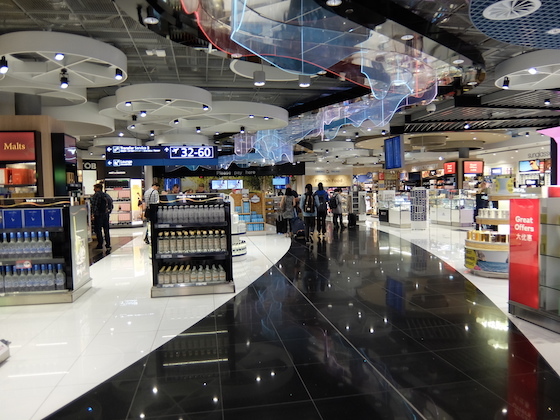 Once through passport control, you’ll walk directly into a large duty free store. 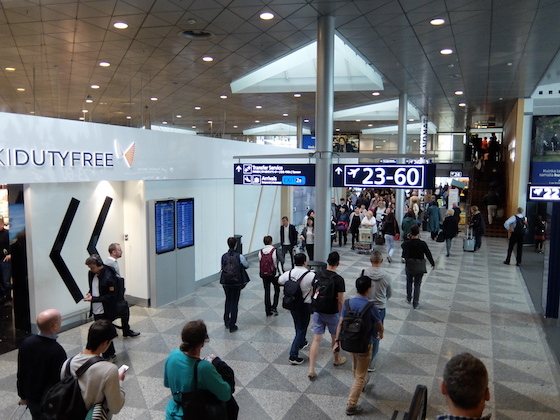 This is not your last chance to purchase duty free, there is another store next to the Finnair non-Shengen business class lounge, but this is certainly the largest option. Duty Free, non-Schengen area, Helsinki Airport. 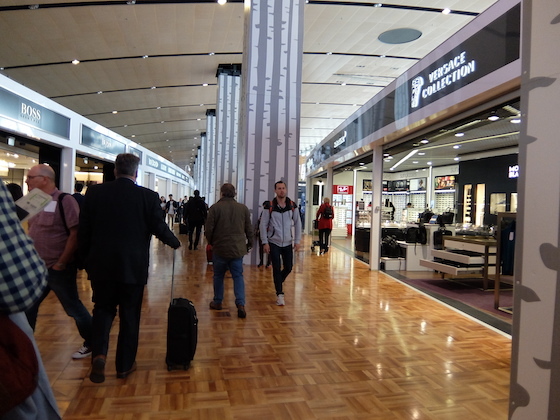 Once through Duty Free the shopping options continue with plenty of high end shops and food options. High end shopping available at Helsinki Airport. 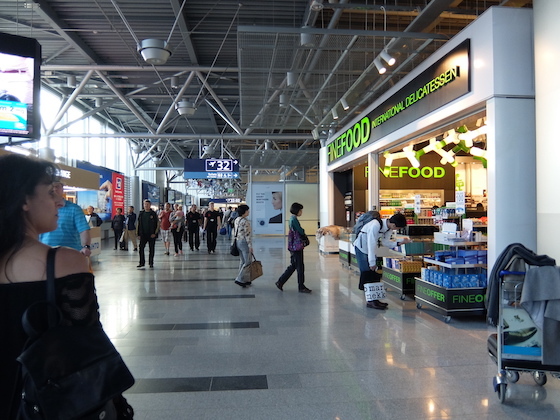 Food and shopping available within Helsinki Airport, non-Schengen area. 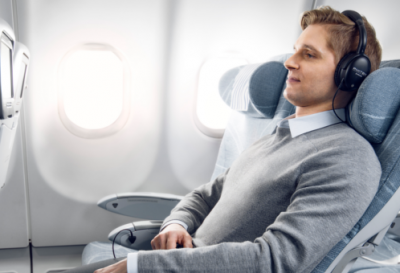 The non-Schengen Finnair business class lounge is located near gate 50, a small wing of departure gates. Gates 50A-M to the left and The Finnair business class lounge to the right. 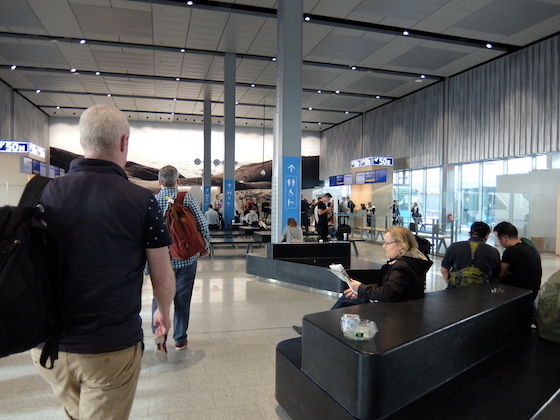 Our flight departed from Gate 50, Gates 50A-m are in a small wing opened in 2016 to increase capacity. There are no air bridges on these gates, instead access to the aircraft is via a shuttle bus. 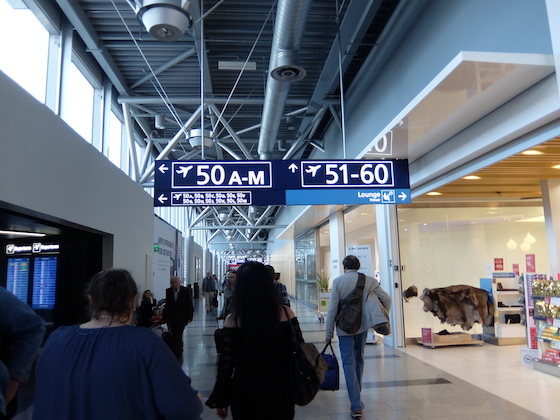 Gates 50A-M are located in a small wing near the Finnair Business Class Lounge. Boarding onto a shuttle bus at Gate 50E. The shuttle bus takes a short trip to the aircraft. 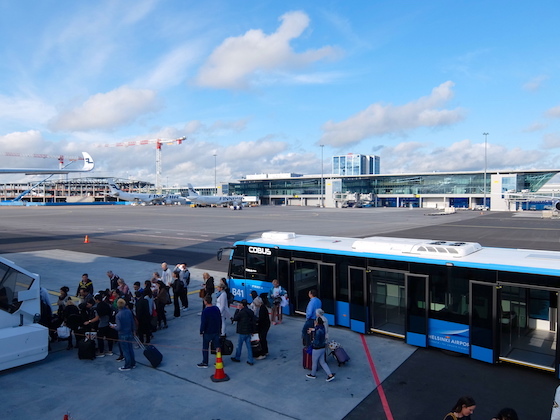 Boarding the Finnair plane via airport shuttle bus. 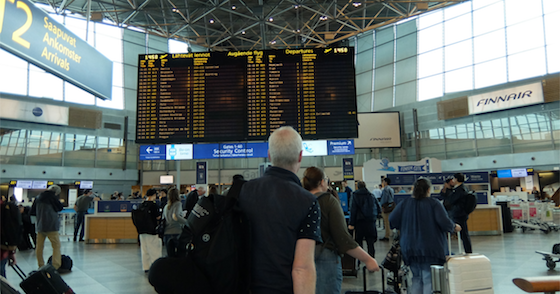 With plenty of signage and clear walkways, Helsinki Airport, although busy, is easy to navigate. There are plenty of options for dining and shopping in both the Schengen and non-Schengen areas. 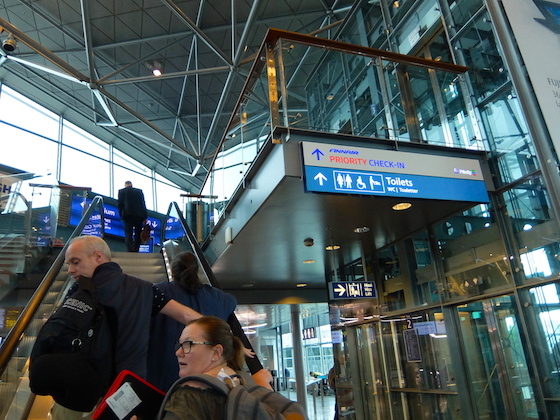 If you’re departing from the non-Schengen area we recommend transferring to this area first as it is quite a walk from the check in counters, and to avoid any possible delays at passport control. 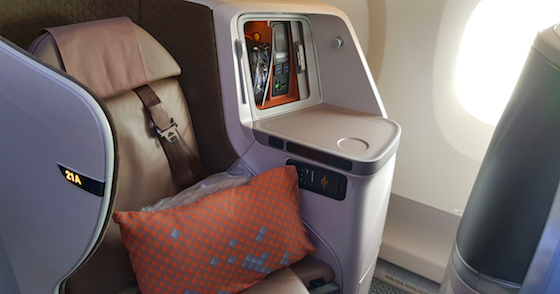 You can read our review on flying business class with Finnair here.